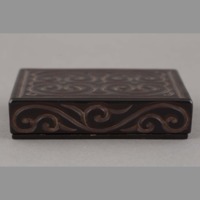 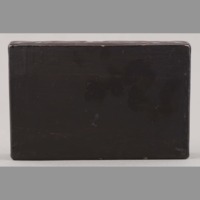 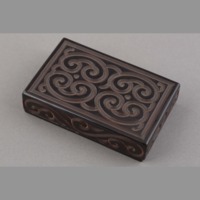 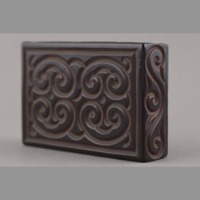 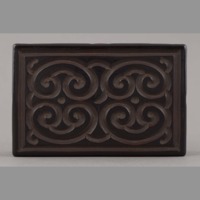 One dark brown lacquered wood box. 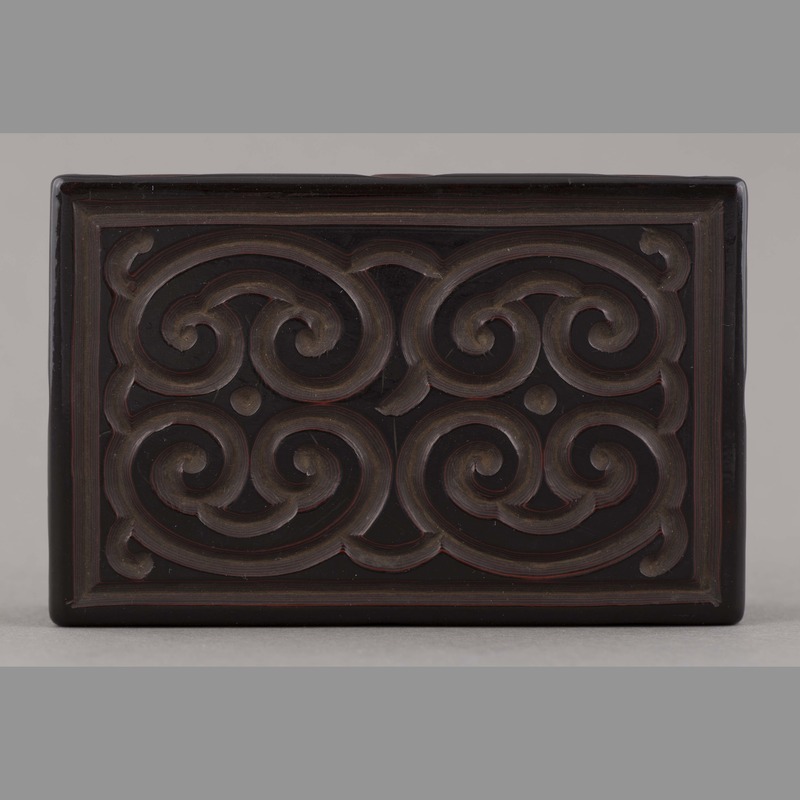 Top and sides present relief-carved ruyi patterns the interiors of which are embellished with parallel red striations; plain flat base. 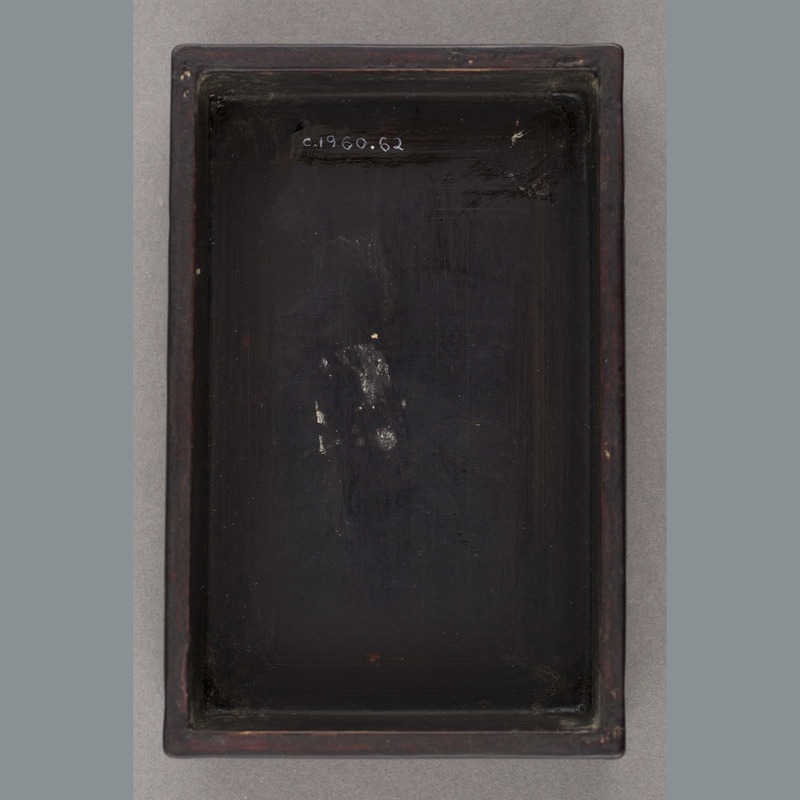 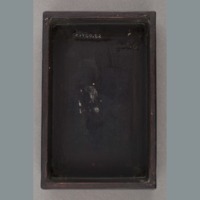 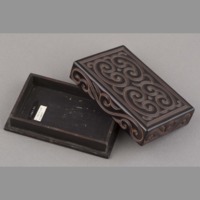 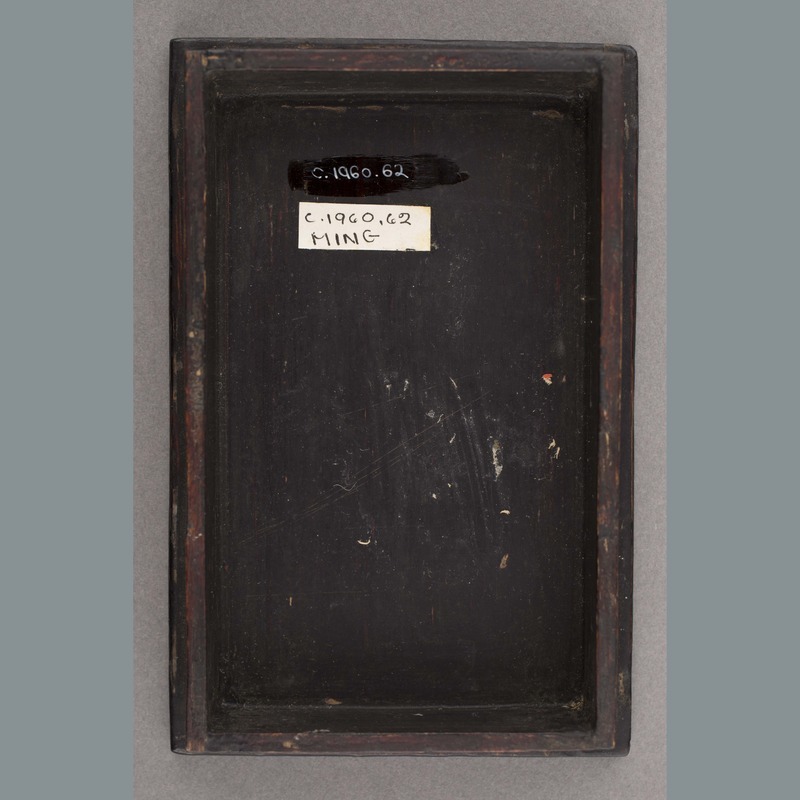 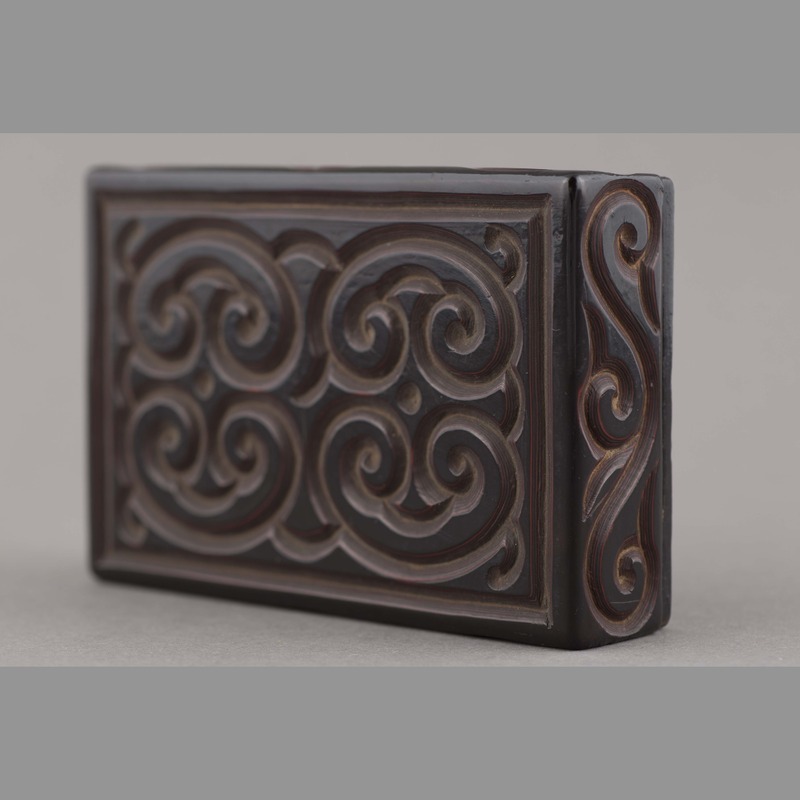 “Lacquer: wood box,” China, Art and Cultural Diplomacy, accessed April 22, 2019, http://rewialleyart.nz/items/show/1155.